The Samsung Galaxy Note 8 could be here in just two months time, according to South Korean news website The Bell. 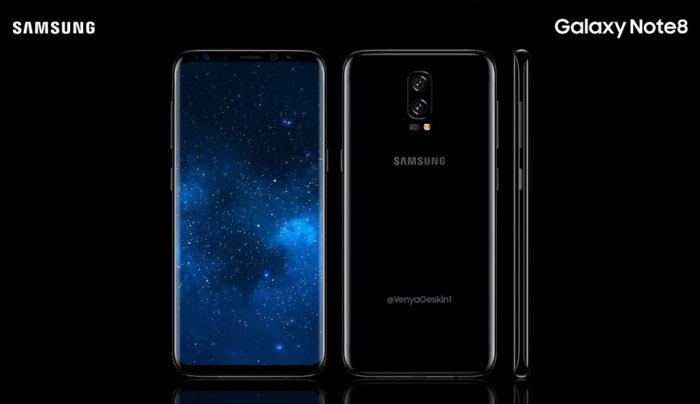 Citing Samsung Electronics, The Bell states that the new flagship phablet may launch in mid-August, the same period that the Galaxy Note 7 was released in last year (August 19). It was anticipated that Samsung would take extra time in releasing the upcoming Note 8, i.e. beyond the typical 12-month production cycle, to ensure the launch went off without a hitch. Last year’s Galaxy Note 7 was recalled twice before being canceled following battery problems, and it was speculated that Samsung delayed the Galaxy S8 release earlier this year for quality assurance purposes. However, The Bell claims that Samsung has decided to “accelerate the launch of the Galaxy Note 8,” to get a head-start on the upcoming Apple iPhone 8 range. Samsung will no doubt be seeking ways to take the shine off the release of Apple’s 10th anniversary iPhone, but if that means hurrying out another Galaxy Note device, let’s hope the decision doesn’t blow up in Samsung’s face. The Galaxy Note 8 is expected to come with a 6.3-to-6.4-inch curved display, Qualcomm Snapdragon 836 processor, and a dual-lens, 13 MP, rear-facing camera with AF. An on-screen fingerprint scanner has been ruled out, but the display should house an impressive screen-to-body ratio, like the Samsung Galaxy S8 and Samsung Galaxy S8 Plus.